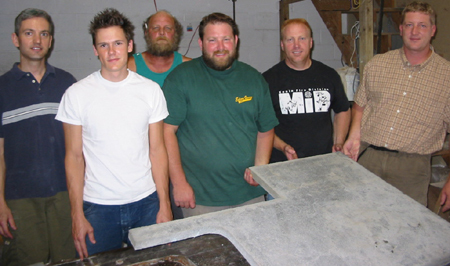 This week we’ll celebrate the 10th anniversary of the Concrete Countertop Institute. What an amazing 10 years it has been! I thought it would be fun to take a walk down memory lane and profile one of our students from that very first class in June 2004. His name is Gerry Maurer (you can see him in the dark green shirt in this class photo). Gerry and his wife Elizabeth own and operate Liquid Stone Concrete Designs in Pennsylvania. Concrete is practically in Gerry’s blood. He’s owned Liquid Stone since 1997 (so about 17 years), but has been working in concrete much longer. He actually started in high school and has done a bit of everything including foundation work, custom furniture, and of course, concrete countertops. A lifetime of experience in the concrete industry has given Gerry a unique look into the evolution of the industry. Concrete has come a long way in the last couple of decades. Now that we better understand the science behind concrete we can create pieces that better stand up to the elements. And of course there is the exponential growth of decorative concrete. Gerry and his wife have enjoyed seeing how far they can push things and what they can actually do with concrete. You can do so much with concrete now that you couldn’t even dream of doing when they first got started in the business. 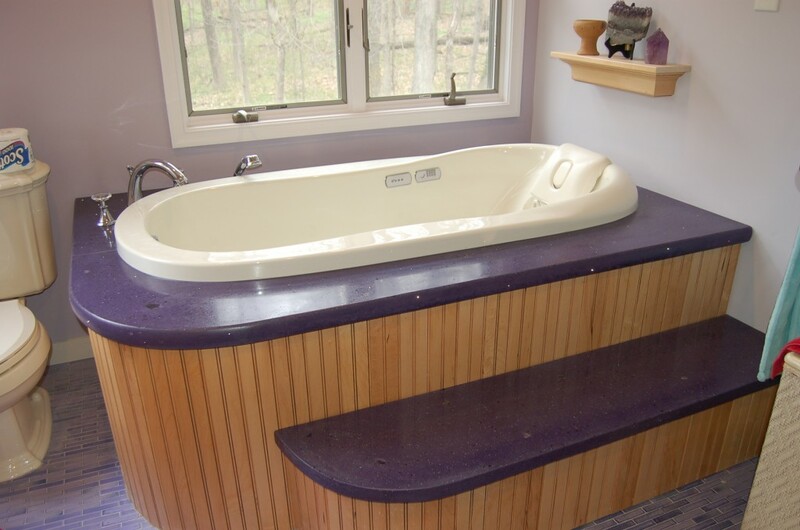 This concrete tub surround design features fiber optics and chunks of embedded amethyst. Seeing the many changes that have occurred over Gerry’s career in concrete has been fascinating. They’ve seen concrete go from being poorly formed with lots of structural flaws to something strong, decorative, and built to last. They’ve also seen a recent uptick in concrete’s popularity due to its environmentally friendly benefits. Concrete is one of the greenest countertop choices you can find, and they focus their business on striving always to be as green as possible. 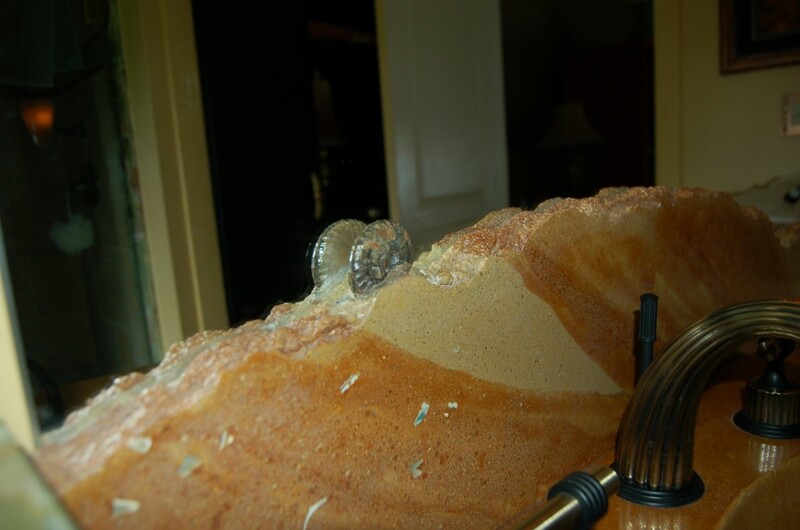 Stunning countertop with embedded shell fossil. When it comes to training, Gerry has done it all. In addition to being a student in our first concrete countertop class, he’s also joined CCI at the first fiber optics class we offered (and in other courses too). He gets as much training as he can and is willing to travel the country to learn new methods and techniques. Gerry and his wife love meeting new people and have made many wonderful friends and associations because of concrete. One of Gerry and Elizabeth’s clients brought a picture to them of a concrete staining pattern they liked from another concrete artisan. 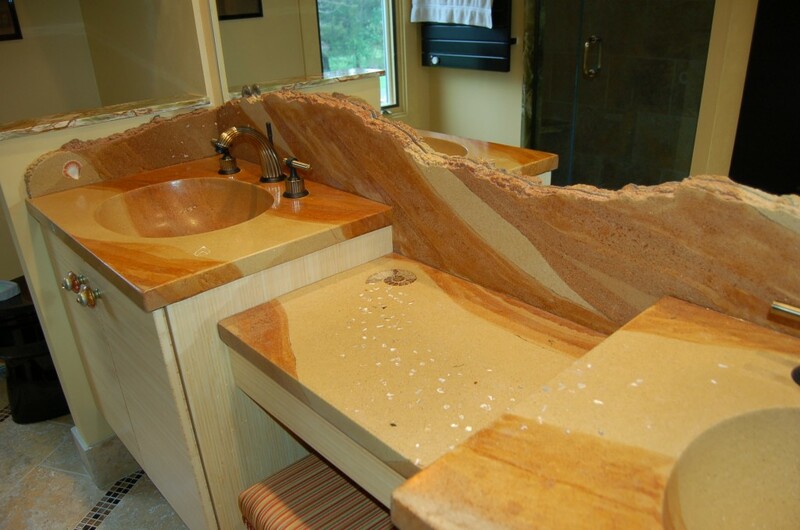 They got permission to use the technique and created a custom sink the client loves. It even includes shells and fossils. 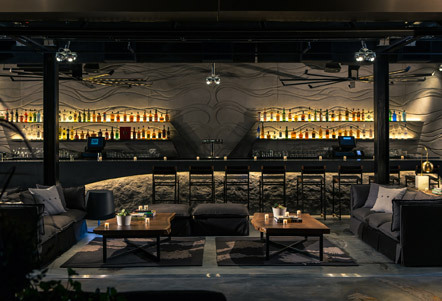 Liquid Stone credits their success in part to learning mix design and using the right materials. Elizabeth explained that you aren’t ever going to get the results you want if you just head down to your local hardware store and buy a bag of concrete. If you want stunning results, you need the right materials. Learn the science behind concrete and you’ll be able to do so much more. What will the next 10 years bring our friends Gerry and Elizabeth? They are currently looking to expand and grow their business. Right now they are very small and very custom (think boutique), but they are in the middle of a growth spurt and looking to expand. They also hope to delve into new markets including architectural concrete. Thanks for taking the time to catch up with us. We always love seeing our students succeed! 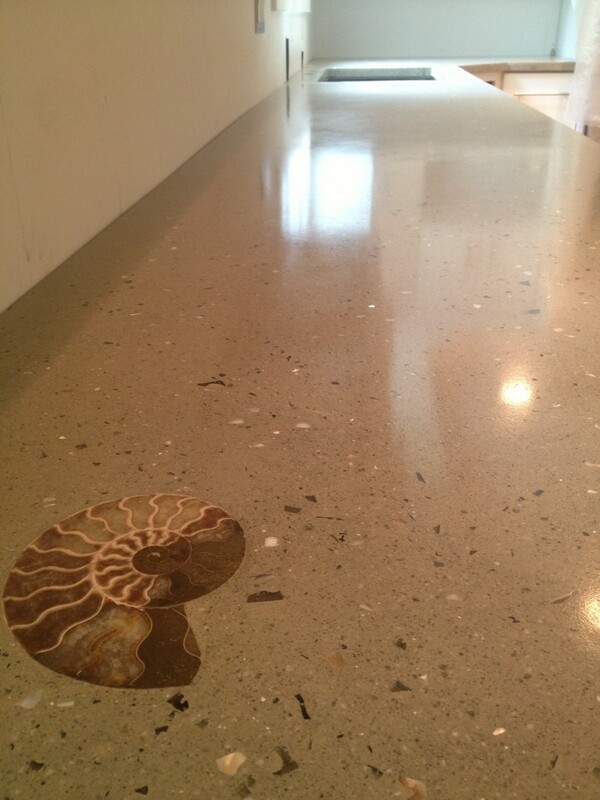 Check out some of Liquid Stone Concrete Designs’ great work.